When thinking of social media platforms, one of the first ones that come to mind is Instagram. Instagram has instantly grown up to be the most popular platform for sharing pictures and videos with people all over the world. Whether you want a refresher of the platform or want to stay on top of the latest headlines surround it, here’s everything you need to know about Instagram’s new feature. Instagram has added in-app payments feature that allows you to make direct payments from the platform. The intention is clearly to enable businesses and brands to advertise on Instagram. TechCrunch was informed by one of its readers that Instagram users were able to register their credit card details to their profiles on Instagram, along with setting a security password. If you can see the feature rolling out, you would find it in your profile settings below “payments settings.” As of now, there’s a restricted set of partners, including Resy – a dinner reservation service. In the future, it’ll be possible to book movie tickets within Instagram, too. Instagram said in a blog post while celebrating the reach of 25 million listed businesses last year. “In fact, over 80 percent of accounts on Instagram follow a business, while 200 million Instagrammers actively visit the profile of a business every day. As a result, the Instagram community is helping spur small business growth in big ways”. What do you think about this new feature? 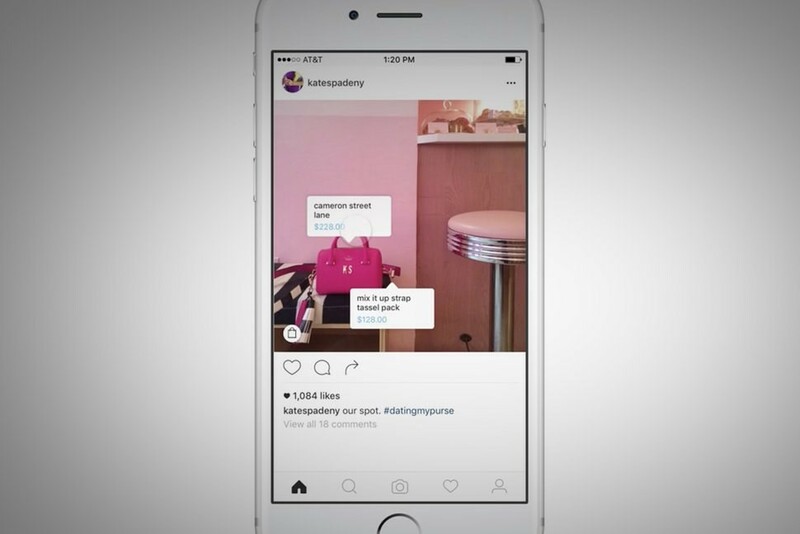 For its next trick, Instagram may be preparing to launch a standalone app individually for shopping. The Verge reported that “IG Shopping” (which people will have to download separately from the Instagram app) will let people browse things from merchants and businesses they follow and purchase them directly from the app. Instagram refused to comment. Instagram’s movement into social commerce—a place that involves directly purchasing things on social networks—is mostly unsurprising. According to Facebook’s last earnings report, Instagram’s existing merchant community is strong, with over 25 million brands already on the platform, and 80% of Instagrammers already following at least one business account. Instagram users have also noticed that Instagram has been testing an in-app shopping feature since November 2016, which enables merchants to tag their products so people can buy directly from a picture. It’s also checking the option to buy things directly from Instagram Stories. Facebook has tried a lot to nurture a social shopping presence with its struggling Marketplace, the Craigslist-like part of its main app. But with its active community of indie and designer brands, it seems like Instagram has a better potential for building a competitive social commerce community. And it’s a profitable trend to get in front. Shopping wouldn’t be the first Instagram feature to be turned out into a standalone app. It has been testing “Direct,” a new messaging app, since last December. Last year it introduced IGTV, a YouTube competitor that places vertical videos into their own app. Who Is your Instagram Boyfriend? Behind every girl’s Perfect Instagram photo is an often reluctant photographer who is called an Instagram boyfriend. Becoming an “Instagram boyfriend” has become a wholly fledged Thing with a capital T.
You know what I’m talking about. You have seen the guy begrudgingly or faithfully snapping away as his girlfriend poses at brunch. New research released by Adobe that inspected 1,000 American millennials who are active on Instagram, explored the signs you have an Instagram Boyfriend. But let me clear something up. Being an Instagram Boyfriend is a good thing. No, seriously. The research found that Instagram Boyfriends have come to embrace responsibility. In fact, they found that 80% of millennial Instagrammers say getting the perfect picture of someone makes them feel happier. Besides, another 88% say that taking photos of their significant other or friends while they travel makes the adventure more fun and memorable for them. So, you shouldn’t feel bad about making your friend take those pictures of you staring out into the distance during your beach vacation. They are probably genuinely enjoying the process. But how do you find out if you have a real Instagram Boyfriend, or if you just have a partner who takes photos of you from time to time when there is no one else? I mean, let’s face it. 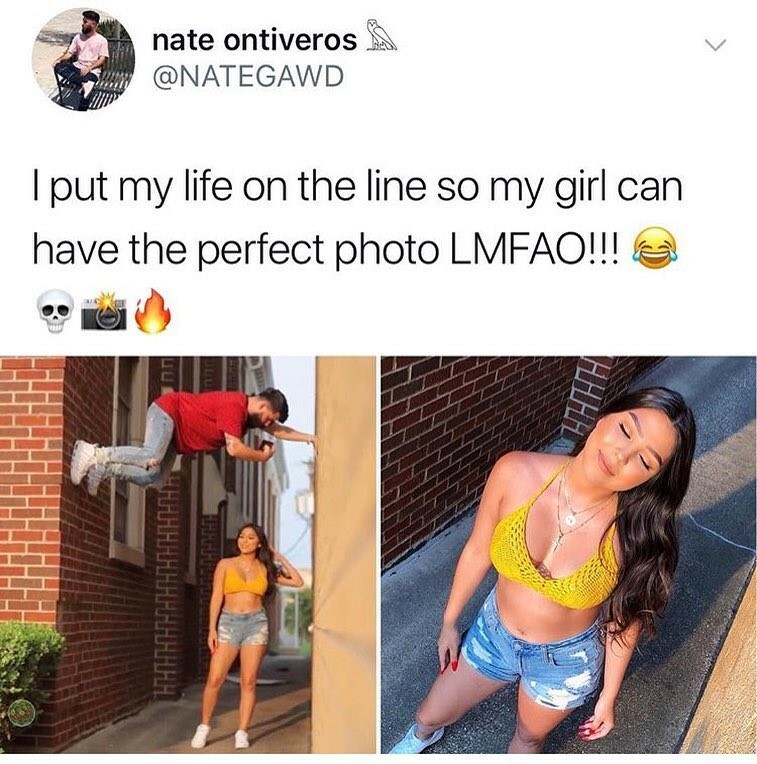 Being a true Instagram Boyfriend is just another level of dedication to getting that perfect shot. If your partner does all these things, send them this blog ASAP, because they are officially an Instagram Boyfriend and should be notified instantly. 1- They take pictures and videos of you (duh). Apparently, the primary duty of an Instagram Boyfriend is to take photos of their bae. In fact, the research found that 46 percent of Instagram users have taken pictures for their friend at some point. 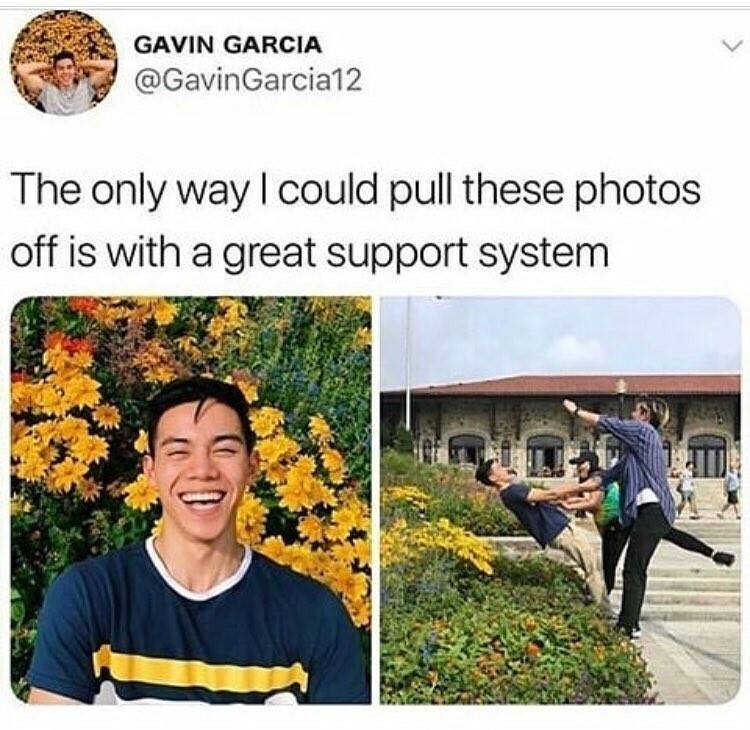 But to actually qualify as an Instagram Boyfriend, you’ve got to do way more than catching a few casual photos here and there. Dedication is the main key. The research found that a third of the Instagram boyfriends have gone hungry or maybe had a meal go cold while capturing a picture of the food. Under your guidance, their photography skills are apparently going to bloom. The study found that almost all of Instagram users admitted their photography skills have improved since they began taking photos and videos for other people to post on their profiles. 4- They take multiple photos when you ask them to capture a shot! A real Instagram Boyfriend understands that when you ask them to “take a picture” of you, you don’t actually mean just one picture. You want as many shots as it takes to get the perfect picture. 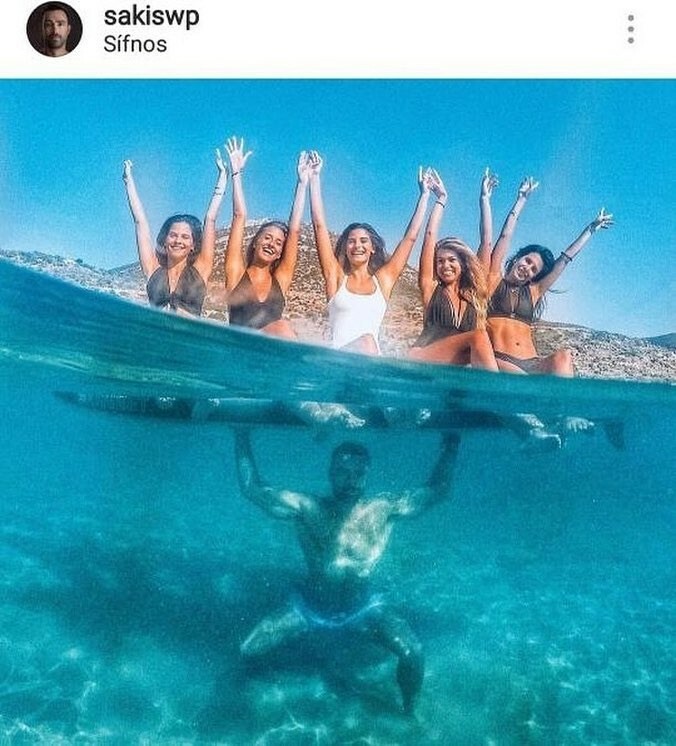 With all that climbing over things and lying on the floor, it’s only natural that Instagram Boyfriends are going to sacrifice their own dignity to help you look cool. If your partner has all five signs, congrats! You officially have an Instagram Boyfriend. And that’s something worth documenting with a picture, don’t you think? 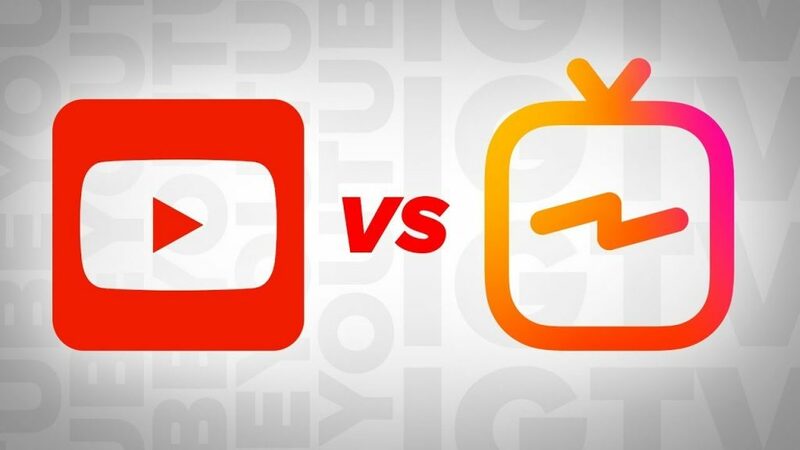 IGTV vs. YouTube: Which One is Better for Video Content Creators? Instagram launched IGTV last year, along with their announcement of reaching 1 billion users! The first thought I had was: “What is YouTube’s reaction?” it is clear that this feature is in direct competition with YouTube. Let’s dive deeper into this. Facebook’s primary goal is “connecting the world.” They are growing effort towards videos. When compared, advertisements on video cost more, meaning there is more profit in video content. 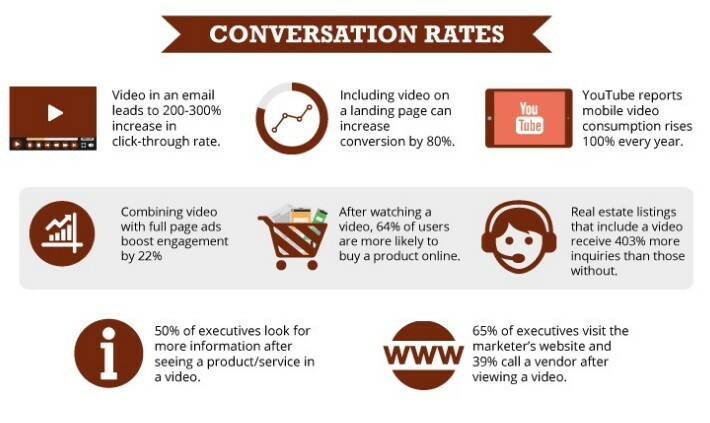 The video is more and more perceived as a platform for connection. In parallel, Instagram connects people together via rich media, with the first investment into video in 2013. It’s a communication channel that lets you share life events with your friends through posted content, short stories and direct messaging surrounding this content. So, what is IGTV’s goal? Related to company goals, it must connect. It connects people towards their interests through longer form videos. In Instagram, 15sec videos and brief, one-off stories are the extent to which videos are shared. But Instagrammers have more to showcase beyond these brief reels. Mainly, IGTV capitalizes on the growth of these “online celebrities” – newfound internet sensations making their fame on media platforms alone. Instagram mainly targeted Vine star Lele Pons, for instance, to create content exclusively for the platform. On the other side, IGTV captures a younger audience – millennials invested in going into rabbit holes on their smartphones and those already following these growing internet sensations. Instagram celebrities targeting young audiences + millennials looking for a cool content match made in social media heaven. 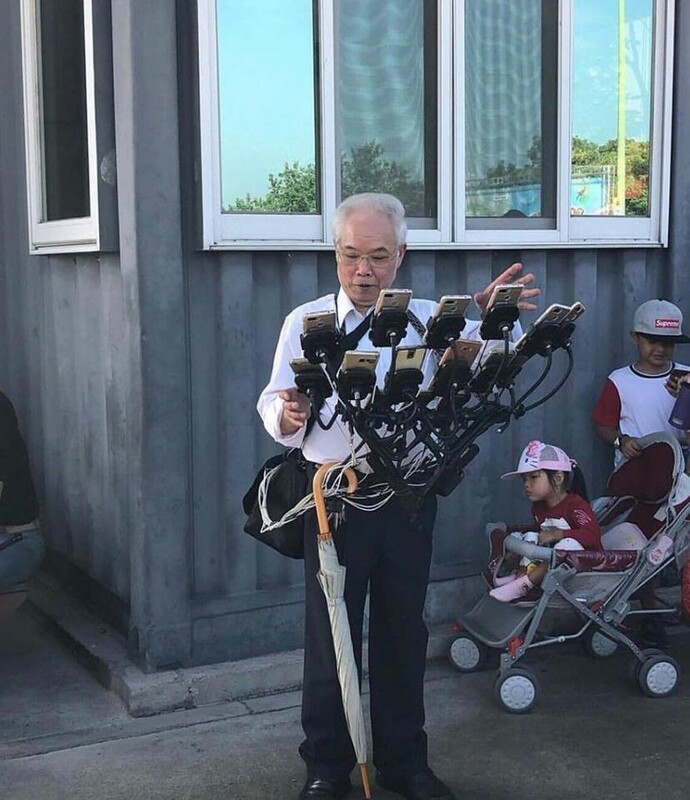 Mobile’s reach-only proceeds to grow. 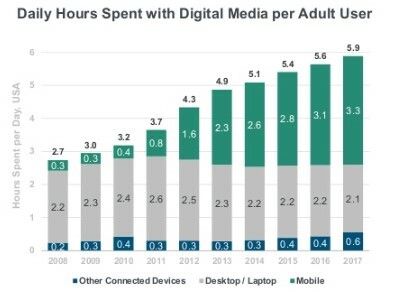 In Mary Meeker’s online trends, 3.4 out of 5.9 hours per day are spent on mobile and is most responsible for the overall growth in internet consumption. IGTV smartly leverages this extension by being mobile-first via its vertical-only video content. In a way, it also provides a more personalized viewing experience. It encourages videos that capture the face of the user using the front camera. It’s as if you are interacting with the user right on your screen. Now that Instagram has 1 billion monthly users, that is 1 billion users who can immediately use IGTV! This feature comes both as a button on Instagram and as a separate app. Users on both sides are already there. Content creators already have a following. Their audience already has content to start watching. This creates an excellent base to route current users to IGTV’s platform. A new platform that does both video hosting and the marketing will make a persuasive case to switch. Actually, it makes sense for those influencers/celebrities to take advantage of IGTV because it saves them valuable time. On IGTV anyone can share content and let the content speak for itself. We don’t need to worry about fancy visual effects or polished editing. This moves away from the perky, preppy and curated Instagram feed and more towards an accurate and personalized form of creation. I just understood the idea behind naming it “TV” later in the game: “It is literally a TV!” while places like YouTube, Netflix, and Vimeo let you explore a feed before watching videos, Instagram throws it back old school and provides an infinite experience of a TV. There is always playing from the minute you open the platform to the last minute when you close it. You even like and comment or interact with other users while watching. Where YouTube is a platform for people to find something they already have in mind. IGTV lets you get sucked into rabbit holes of infinite engagement. It can be really addicting, and that is a big opportunity for creators who need this kind of engagement for their content. Mr. Systrom from Instagram notes that the main focus is on experience first before monetization. That makes sense because, in its early stages, activation and engagement are the top priorities. Although, monetization is clearly the next priority to fully grow this feature. This is not clear how IGTV plans to do that. Sponsored ads are viable and more conducive for brands to add long-lasting video ads. However, there must be a right balance, so it doesn’t much disturb the user’s watching experiences. No content creation for content creators? Right now, there is no way to create content on IGTV itself. One of the reasons may be due to the preservation of content quality, but this decreases the number of videos users might add on their channel. YouTube, recently declared they were launching features prioritizing content creators, which could be a compelling case to stick with YouTube. Vertical videos prioritize mobile and these creators, still, those with already large followings on YouTube & those who upload or publish content in other formats will need to shoot and edit each video twice. If IGTV is trying to steal away people from YouTube, it will take a while before they consider vertical the way to go. While the design provides a mobile experience, it is somewhat challenging to discover videos in this horizontal scrolling formats. In the interim, a complicated algorithm can solve this until a better discovery experience can be added. At last, a brief note on channels: what is the point of channel if you can only add one!? If the channel = creator, then what is the difference? Currently, monetization effort is the top priority. Total spending on video ads is expected to increase from $18 billion to $27 billion in 2021, and IGTV can boost this growth. So, if I were a content creator, I would experiment with both platforms. Whichever platform allows me to earn money faster and easier, will get my attention and that is where I will stick. Are you using Instagram to promote your brand? And If not, should you? Ok, that’s a loaded question. Statistically speaking, it makes dollars and sense! Take a look upon these Instagram stats that show its depth worldwide, then use them to craft your Instagram marketing strategy. similar to how YouTube awards specialized features for “partner” channels or those with high view rates and subscriber count, Instagram might be testing a new collection of features designed for “influencers” or high-profile Instagram users.